Here at the shop we are obsessed with Persephone Papers unique greeting cards, especially with Valentine’s Day on the horizon! 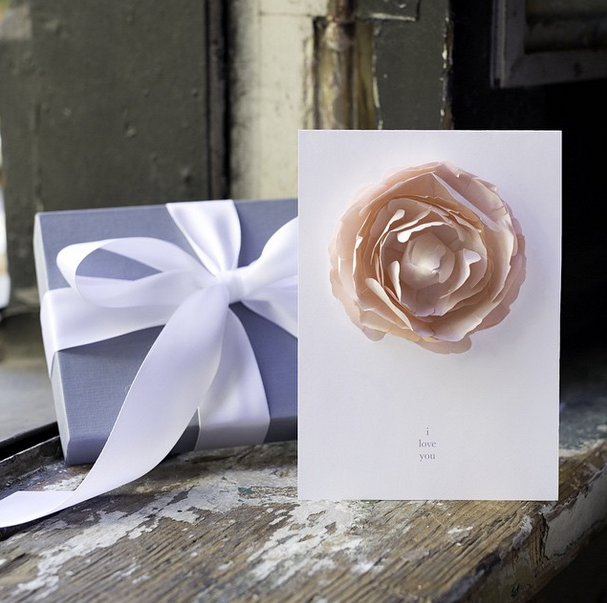 Three-dimensional flowers are the perfect romantic touch for a truly special Valentine’s Day card. To add to the charm, each card comes in a decorative box with white ribbon for safe keeping. All Persephone Papers’ cards are hand crafted and made from 100% recycled material. Valentine’s cards are going fast around here… stop by the shop to get yours before they are gone!